I suppose we should reconsider the chart structure of the Index. We may assume that the price completed wedge pattern in wave (1) with the fourth wave in the form of triangle pattern inside it. If the assumption is correct, the instrument may continue growing up during the next several weeks. 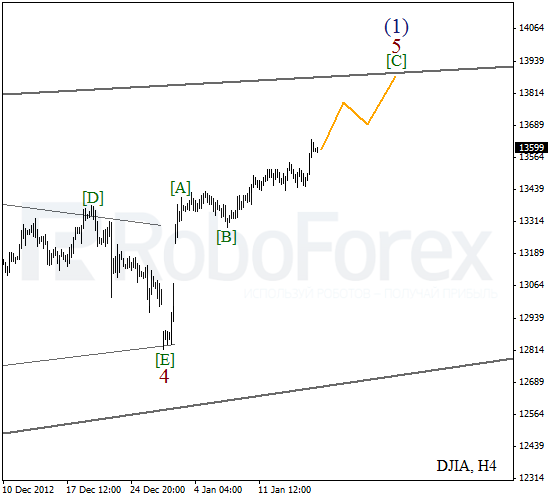 As we can see at the H4 chart, the Index is forming zigzag pattern inside wave 5. On the minor wave level the instrument is forming an impulse inside wave [C]. 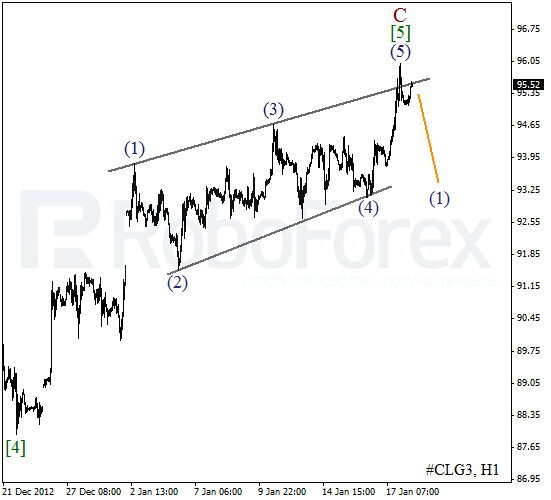 The short-term target is at the level of 13800. 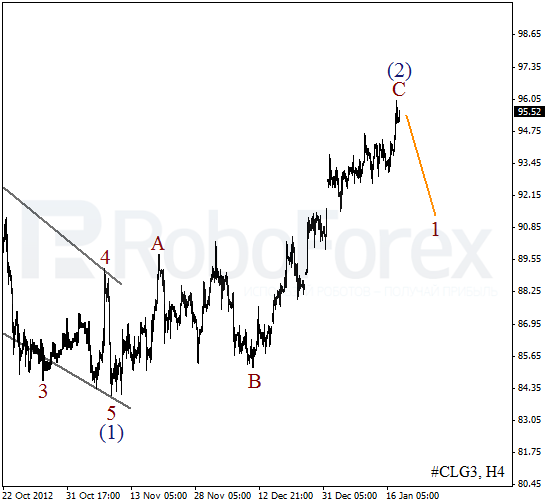 Yesterday Oil reached a new maximum, just as I expected; Take Profit on my buy order worked. We can’t exclude a possibility that right now the instrument is making a reverse downwards. The bears may start forming a new descending movement inside the first wave today. 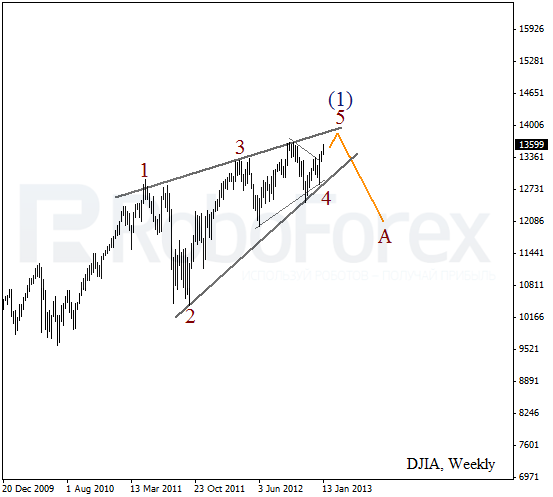 As we can see at the H1 chart, the instrument formed diagonal triangle pattern inside wave . On the minor wave level the market is forming an initial descending impulse. The closest target is at the level of $94 per barrel of Light Sweet.